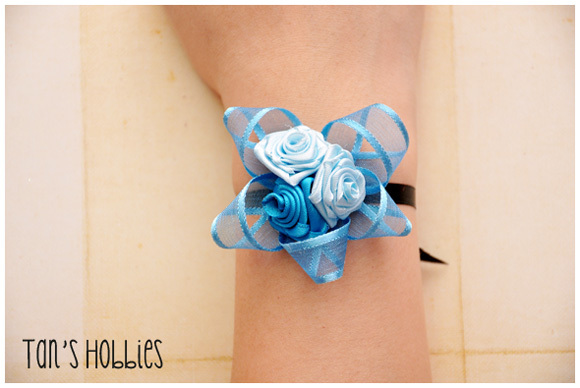 A dreamy and dramatic blue and black combination wrist corsage. They are three small handmade ribbon roses. There is a length of ribbon attached to wrap the rose around your wrist or tie it on your hair. Please email me with details of your colors. I specialize in custom design work. 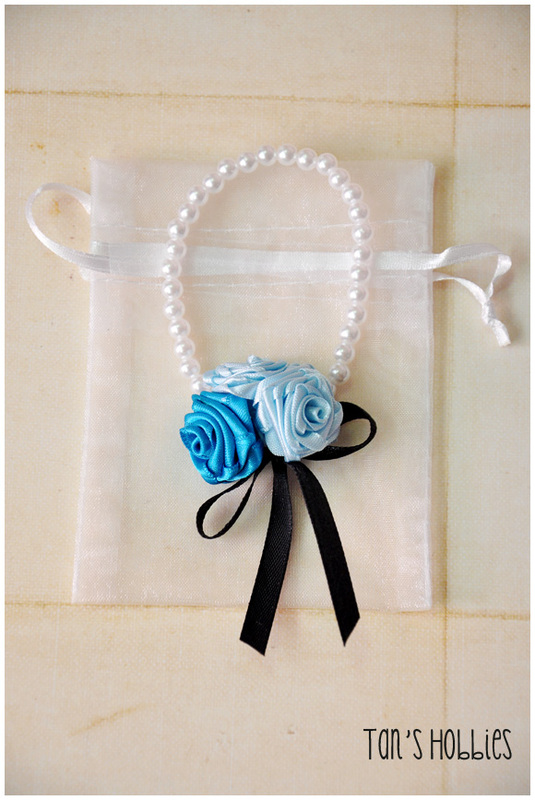 A dreamy and dramatic blue - black - pearl combination wrist corsage. They are three small handmade ribbon roses. There is a stretchable band pearl attached to wrap the rose around your wrist. Please email me with details of your colors. I specialize in custom design work. While this would be lovely for bride or bridesmaid, it can also be worn for any special occasion. Fits most any wrist as it is a stretchable band. 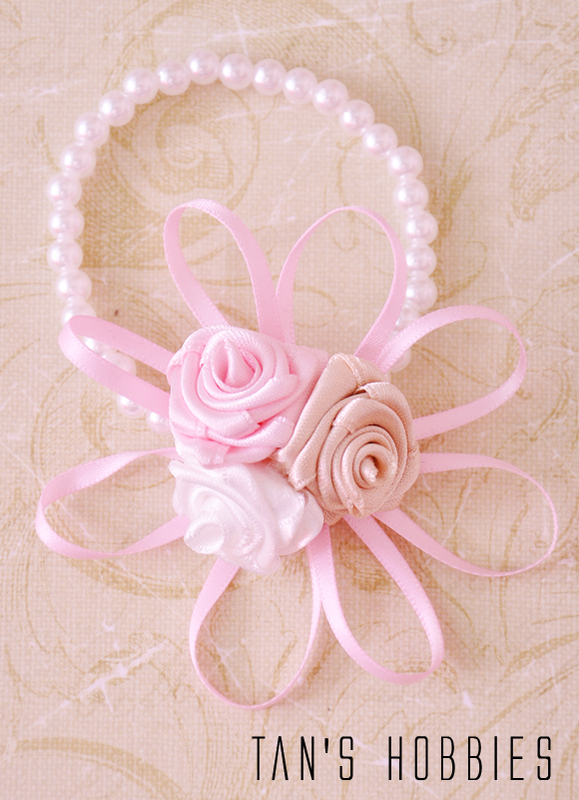 A sweet and romantic baby pink - white - champagne - pearl combination wrist corsage. 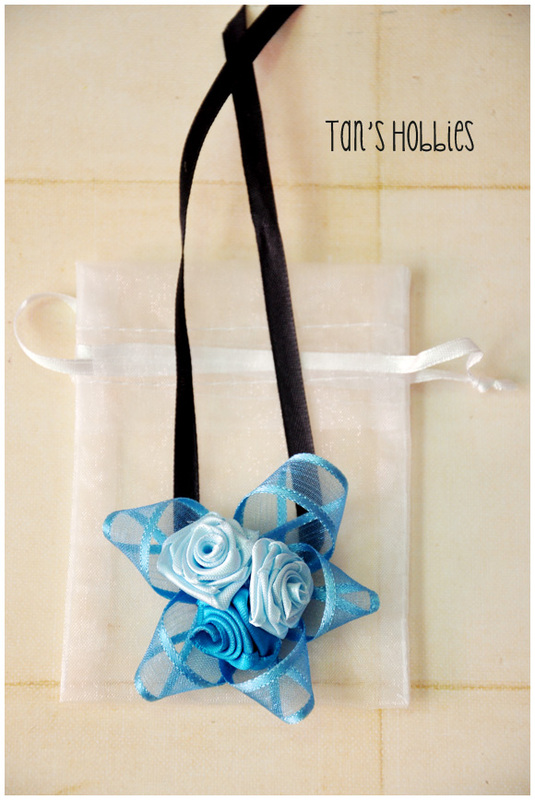 They are three small handmade ribbon roses. There is a stretchable band pearl attached to wrap the rose around your wrist. Please email me with details of your colors. I specialize in custom design work. Big Thanks to my Best Friend! !